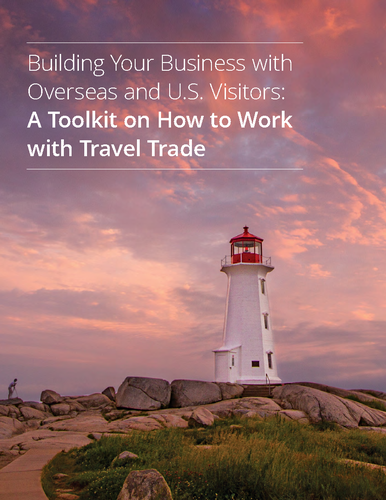 Learn how to attact the international visitor through travel trade. Travel Trade is the collection of companies which buy and sell travel. This includes receptives, international inbound tour operators and travel agents. • Am I ready for the international market? • How can travel trade help build my business? • How will travel trade change how I do business? • Which travel trade partners should I work with? • How do I gain new travel trade partners? If you have, this is the workshop for you! This workshop is designed to provide tactics, processes and best business practices on how to develop and expand your distribution, and ultimately, your business in the United States, United Kingdom, Germany, France and China markets. Eva Gutsche, Managing Director of STEM Consulting & Marketing Inc, provides a variety of consulting and facilitation services assisting hospitality & tourism businesses in increasing performance. Eva’s hands on experience as a tourism supplier and 18 years of facilitation experience helps workshop participants relate and apply the content. The Atlantic Canada Travel Trade Readiness Program was developed in Atlantic Canada through partnership between the Atlantic Canada Opportunities Agency and the four Atlantic Canada provinces. This project is being administered by Hospitality Newfoundland and Labrador on behalf of the Atlantic Provinces tourism partners. Accommodations available ranging from $112.50 to $139.50 + HST, depending on choice of room. Morning refreshments and lunch will be provided. Attendees to the workshop must represent tourism businesses that are TAP (Tourism Assurance Plan) compliant. If you are not or unsure of your status, please contact Nancy McGrath at nmcgrath@tqanl.ca or 709-237-3311. Cancellation Policy: Cancellations will be accepted 24 hours in advance of session. Substitutions will be permitted.